The University of Toronto Biosafety Program is designed to protect lab personnel and the public from potential exposure to infectious agents, and to prevent the release of agents harmful to plants or animals. 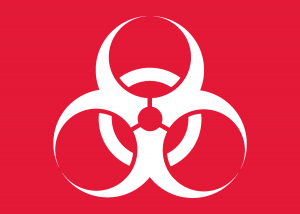 The program includes a number of components such as determining laboratory containment requirements (physical and operational controls); medical surveillance (including immunization where appropriate); classroom and online training; and compliance with regulatory requirements for importing and shipping biological agents. Overall control of the program is through the University’s Institutional Biosafety Committee with administrative and technical support provided by the Biosafety Team in the Office of Environmental Health and Safety. Poliovirus Infectious Materials Questionnaire NEW! If you are vacating a lab room, you are responsible for leaving it in a state suitable for re-occupancy or renovation.